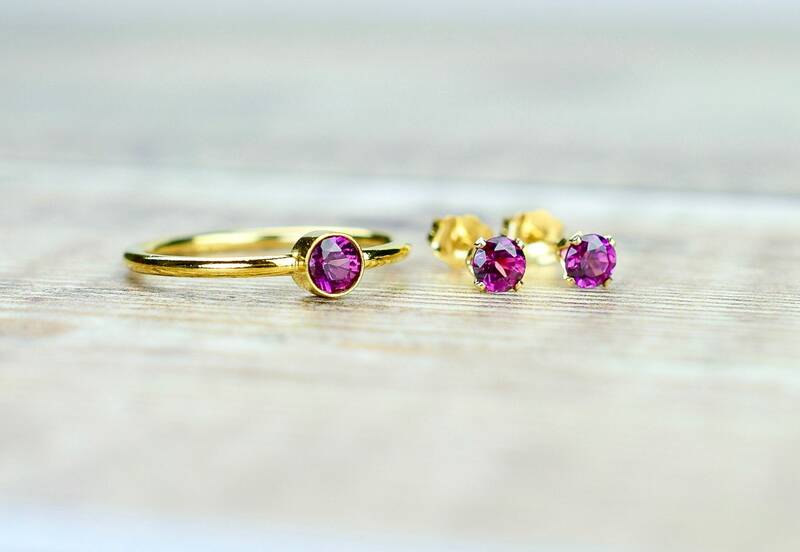 A Rhodolite Garnet jewelry set that featuring a Garnet ring & stud earrings. 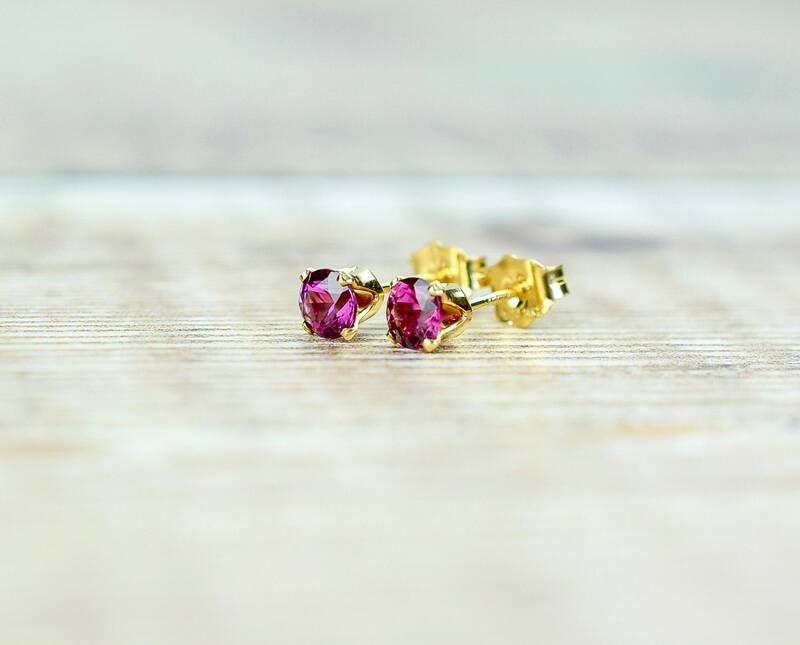 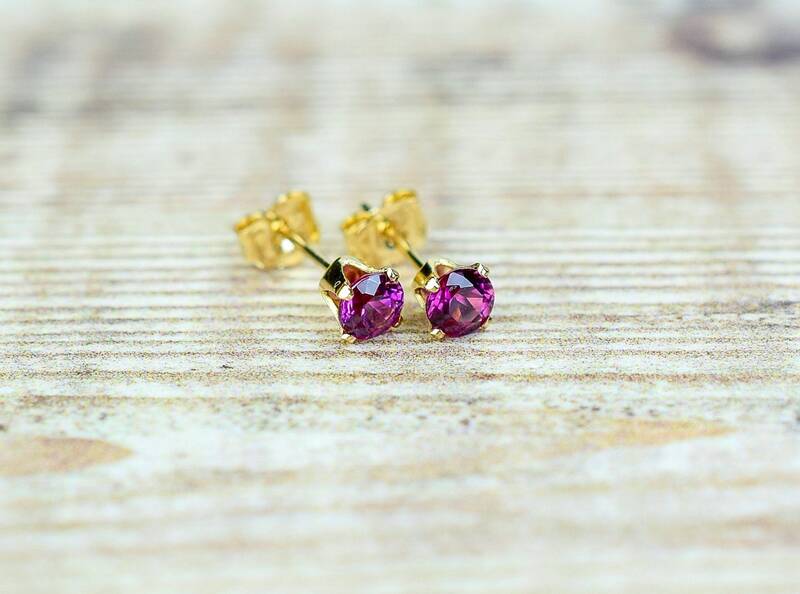 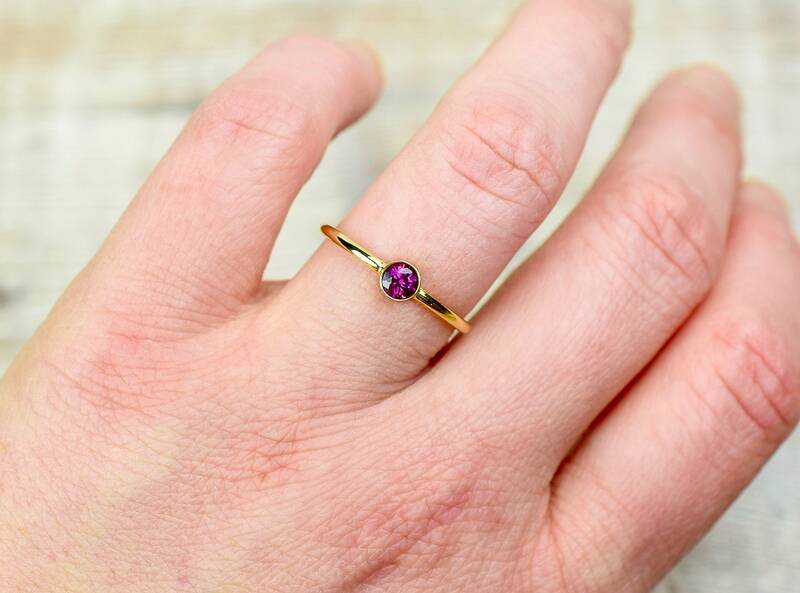 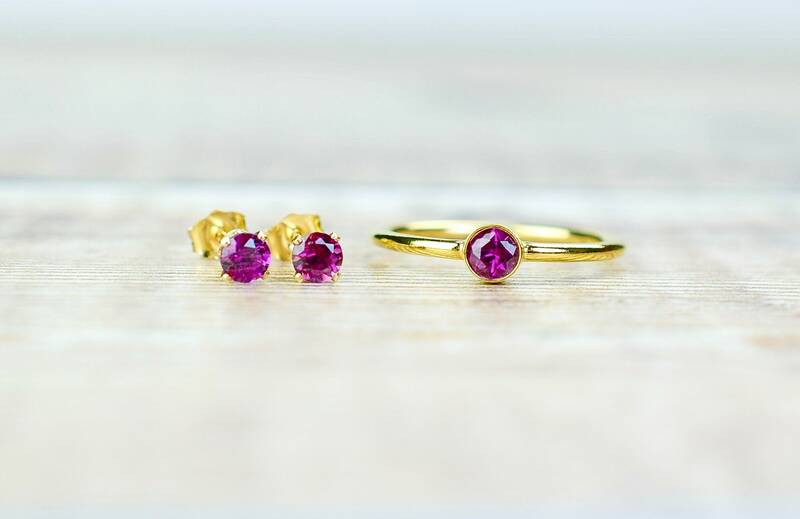 The natural Garnet gemstones are a vibrant and lively shade of pink with flashes of red and they are complimented wonderfully by their gold settings. 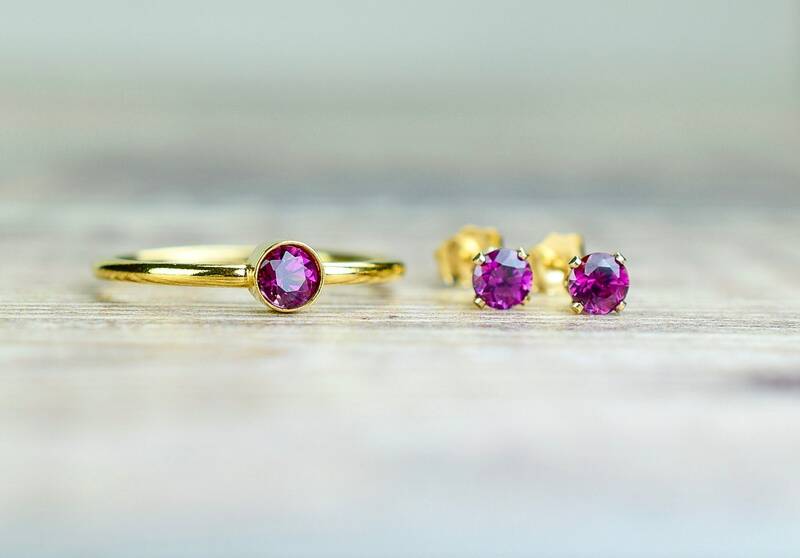 The stud earrings and solitaire ring are made from 14k gold fill and the Garnet gemstones measure 4mm. 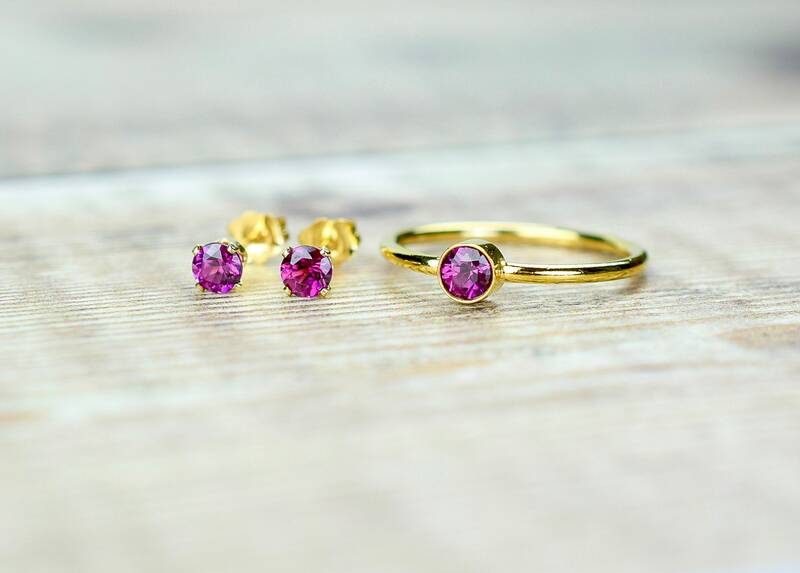 A really beautiful set that would make a perfect gift for someone special. 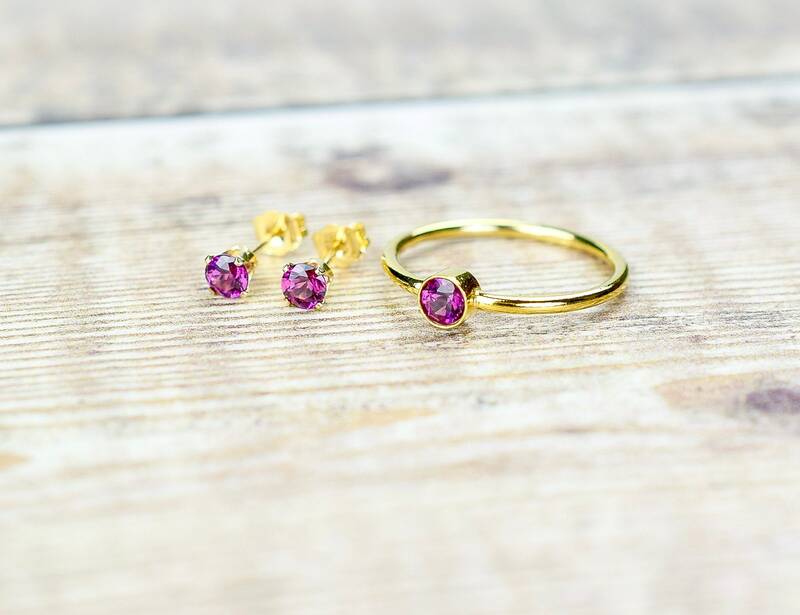 Both the ring and earrings will each have their own jewellery box.